Sweet and not too salty, but just right. In a bowl, marinate the chicken w/the 1st five ingredients for 20-30 minutes. Heat the pan and put in the oil and unsalted butter. Once hot enough, saute the chicken until cooked, and the sauce becomes like sticky syrup. 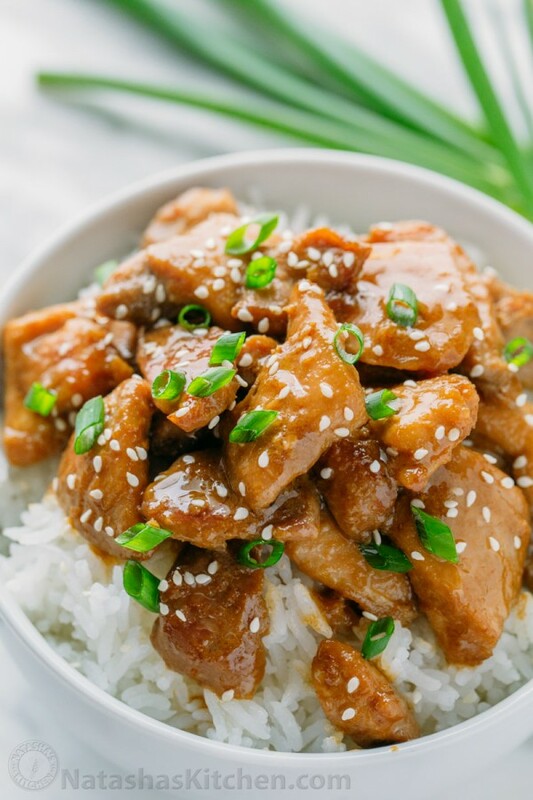 Remove from the pan, and place the chicken on top of the rice of your place, sprinkle with some sesame seeds and green onions. like the one in the picture above. Enjoy!